Ted Nelson knew that self-launching sailplanes were the wave of the future thirty years before he was inducted into the Soaring Hall of Fame. 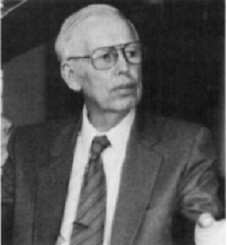 He had approached Hawley Bowlus early on to build a self-launching sailplane but Bowlus wasn't interested until Ted said he would pay the costs. In 1945 Nelson formed a company with William Hawley Bowlus - the Nelson Aircraft Corporation - to build a two-seat, motorglider version of the popular Bowlus BA-100 Baby Albatross. They gave it the name Bumblebee but sold it as the Dragonfly. 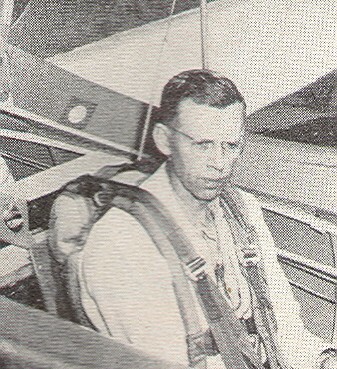 The cockpit was significantly widened to accommodate the side-by-side seating with flight controls for each occupant. 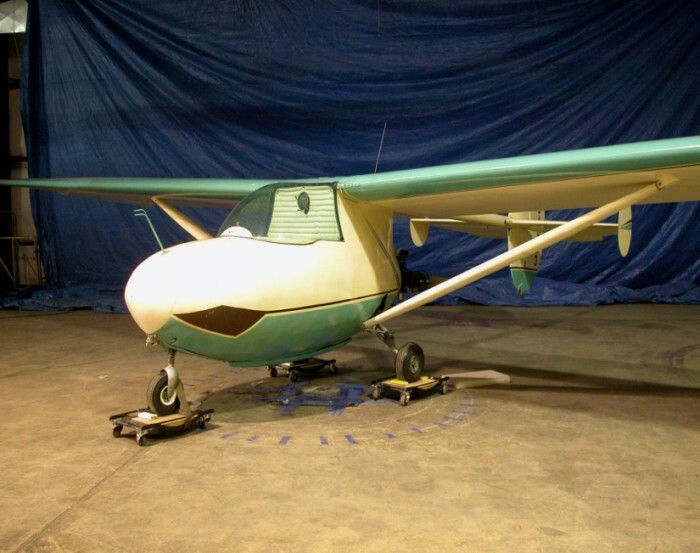 A tricycle landing gear with steerable nose gear was added along with additional vertical fins mounted on the ends of the horizontal stabilizer. The aft end of the fuselage pod was an ideal place for a pusher engine and propeller but none was available. Thus they built a 25 horsepower motor which was barely enough to takeoff and slowly climb. Due to this cost to performance, they sold only seven Dragonflys. The Dragonfly was the first powered glider to receive a type certificate from the Civil Aeronautics Administration and, at this writing, is on display at the Smithsonian Air and Space Museum, Udvar-Hazy Center, Boeing Aviation Hangar. In 1953 Nelson joined with Harry Perl and Don Mitchell to design the Nelson PG-185B Hummingbird with the capability of taking off under power, shutting down the engine at altitude and restarting at the pilot's discretion to return to the airport. The entire engine (Nelson H-59 four-cylinder, two-stroke, 40 horsepower) and propeller are fully retractable into the fuselage. Thus substantially increasing the sailplane aerodynamic performance in free flight. The small two-cycle engine was difficult to start in flight so pilots chose to use it only for take-off and climb. The Hummingbirds were produced both as kits and complete aircraft. Six Hummingbirds were completed. Ted Nelson and Harry Perl flew the first one to 7th place at the Grand Prairie Nationals in Texas. At this writing, one Hummingbird is stored at the Garber Preservation, Restoration, and Storage Facility at Suitland, MD (soon to be at Udvar-Hazy). The Southwest Soaring Museum also has a Hummingbird on display. 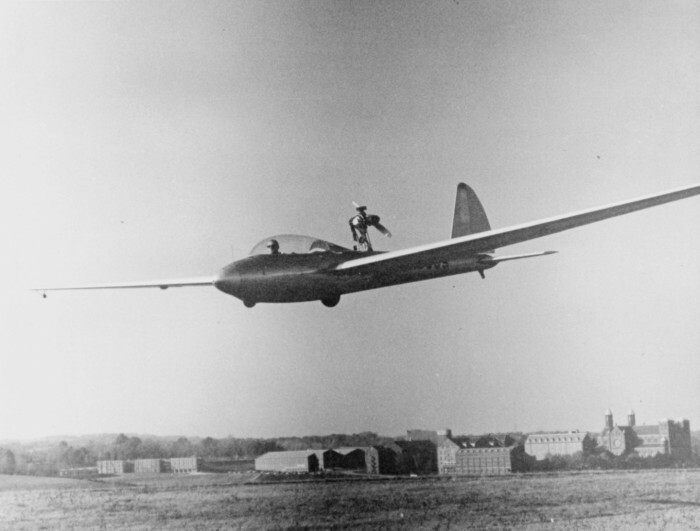 Although these days, motorgliders are very much a part of the sport, it took a while for the "purists" to accept the concept. In that sense, Ted Nelson was ahead of his time. To quote him, "The 'purists' were saying that we were taking all the sport out of it." Nelson started flying primary gliders in 1926. Even at that early time, he envisioned the motorglider and built his first powered glider with a 50 hp, 9 cylinder radial engine. To quote him, "Boy, did that thing jump off the ground . . . It didn't look very nice, a glider with this big monster sitting out there. You put the power on and wham! You're off the ground. Fortunately, I cracked it up on a take-off one day and that saved me from getting killed in the darn thing." Nelson retired in the mid- 1960s but took up another hobby a few years later - developing, manufacturing and selling oxygen flow meters for gliders and powered aircraft. He received the Eaton Trophy in 1954 and earned Silver Badge #138 in 1951. Ted Nelson was among the first in the world to visualize the future success of motorgliders.